Ordinarily, you'd have to pay $1 or more to get Invert, Superbrothers: Sword & Sworcery EP, Alto's Adventure, and Pug's Quest. Paying more than the average (currently $4.40) would earn you Vignettes, Shooting Stars!, Tower Dwellers, and Caterzillar. 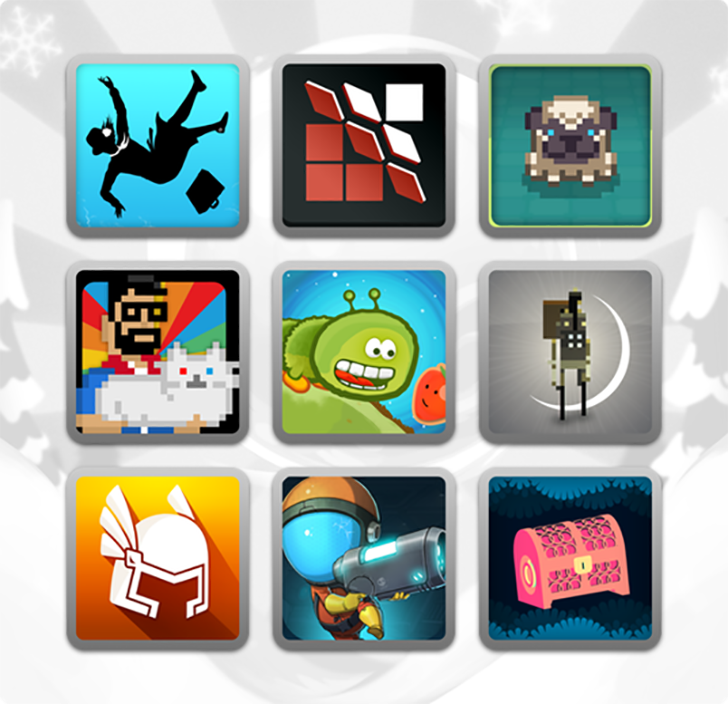 And if you were to pay over $5, you'd also get FRAMED 2, The Bug Butcher, and Snowball. But this being a giveaway, we're offering you the opportunity to get all 11 games for zero dollars. 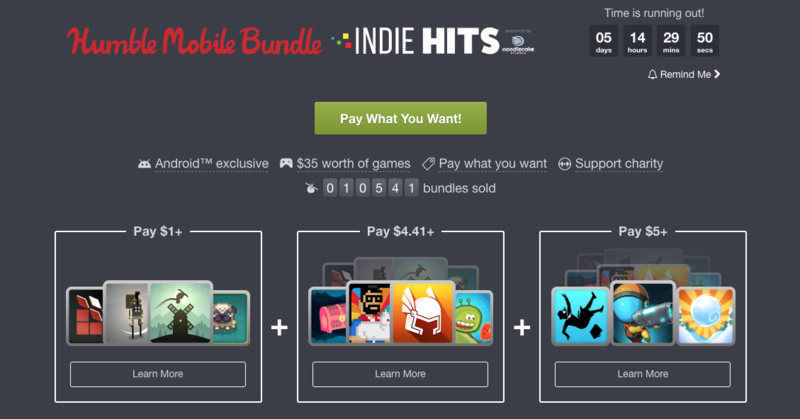 To win one of 10 free codes for the full Humble Mobile 'Indie Hits' Bundle, just leave a comment below. We'll select the winners on Friday, December 22nd. Bundles will be assigned to winners randomly. Good luck!